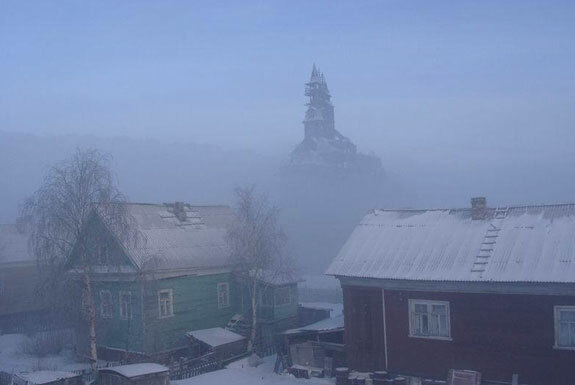 Where else would the world’s highest wooden house be located other than “The Wooden City” (which, as the arboreally astute among you may know, is Archangelsk, Russia)? 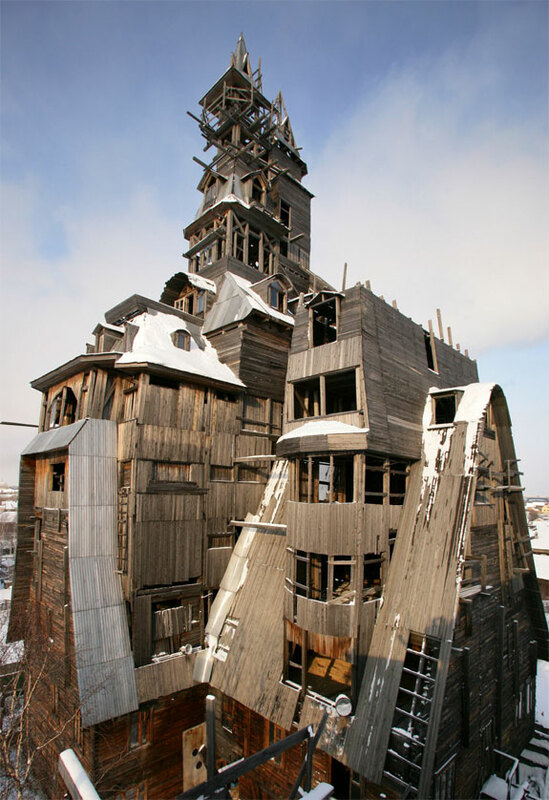 Archangelsk earned its nickname because of its numerous wooden dwellings. The town of 350,000 in northwestern Russia near the White Sea is also home to a wooden port building, wooden streets and museum that includes wooden artworks such dishes made from birch bark. Towering over this termite’s dream town like Gargamel‘s palace over The Smurf village is the Sutyagin House. This 13-story, 144-foot (44-meter) skyscraper building was constructed by a “pathological workaholic” construction worker. He built the entire structure without the aid of any machinery—click here to read an fabulously-researched article about the unusual history behind this unusual structure. If you want to see the Sutyagin House in person do so soon. 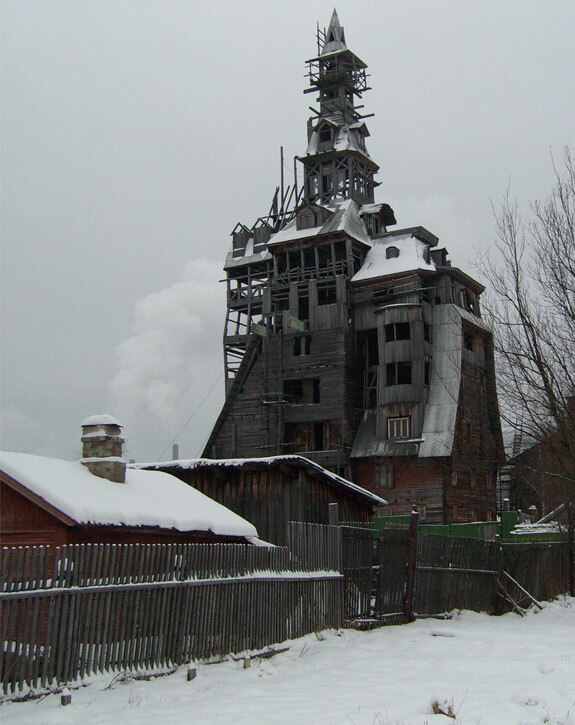 The city of Archangelsk has contemned it has a fire hazard and, sadly, is threatening to tear it down.